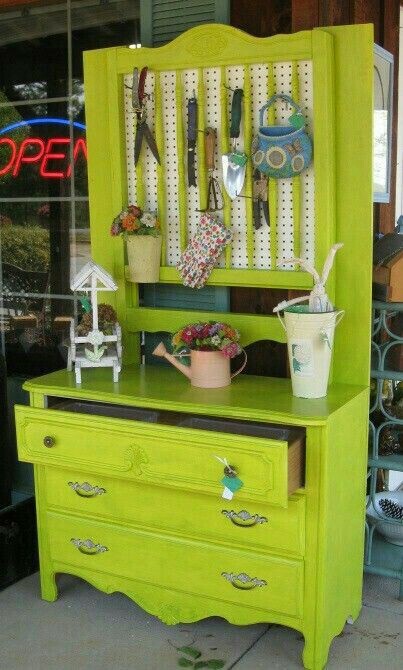 Turn your dresser into something useful that matches perfectly with the rest of the decor. 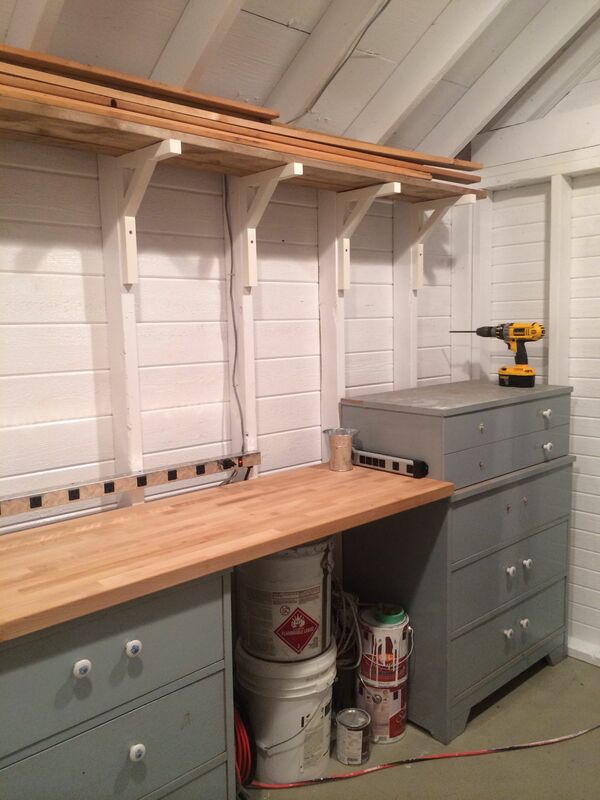 Repurpose a couple of dressers and add a countertop to create a fully functional workbench. 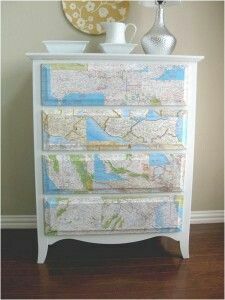 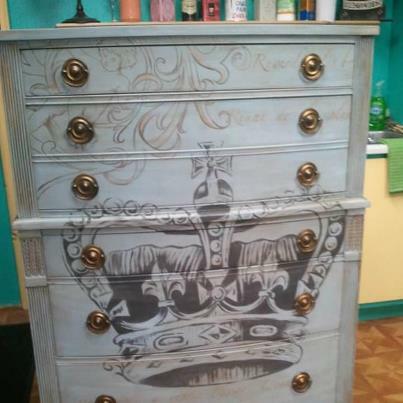 Painting and applying wallpaper to a dresser makes it interesting and able to match any theme. 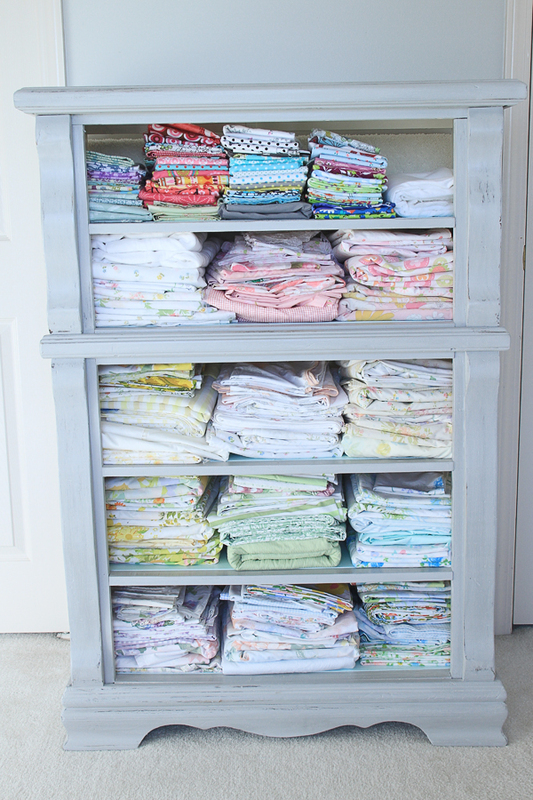 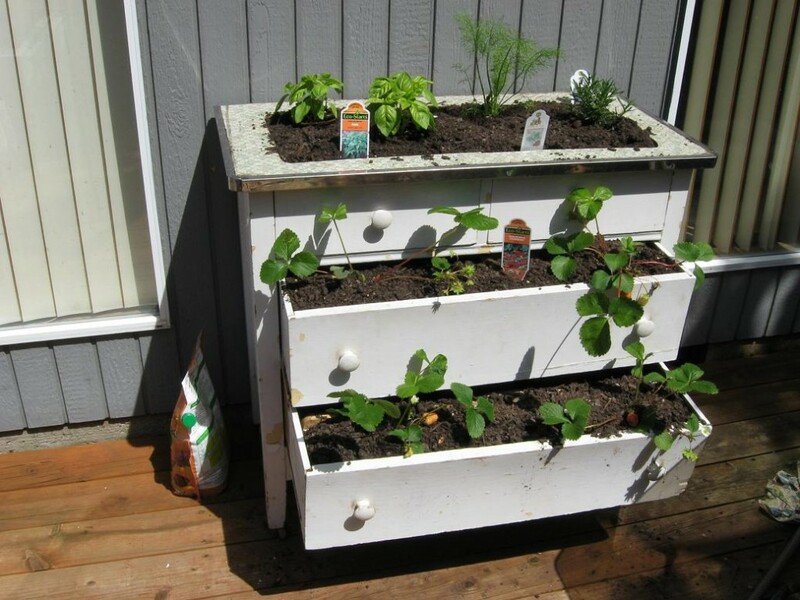 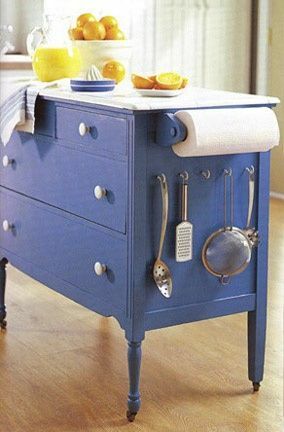 Repurpose a dresser by painting, adding hooks, a paper towel holder, and a countertop to make a great kitchen island.